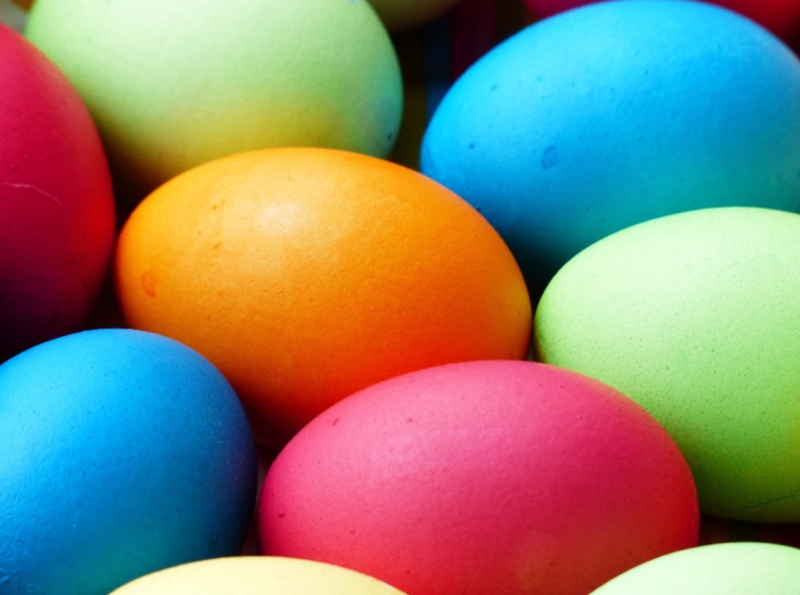 Easter Egg Coloring Party at Ray’s Cafe April 20! Join us on the Café Deck for our annual Easter Egg Coloring Party on Saturday, April 20 at 11:30am benefitting Mary’s Place! A $15 donation per table (up to five people) will get you eggs and a dye kit to create beautiful Easter eggs! 100% of your donation will go to Mary’s Place to help shelter local families in need. The Café’s full menu will be available for purchase and the event will be held rain or shine on our heated and covered deck. To reserve call the Café at 206.789.3770! Mary’s Place empowers and supports struggling families by providing shelter, nourishment, resources, healing and hope in a safe community. For more information on Mary’s Place and to get involved visit marysplaceseattle.org. 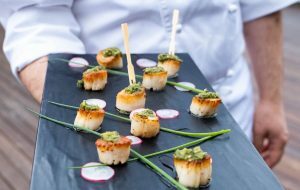 Ray’s Catering hosts Seattle’s best private events, from weddings, anniversaries, birthday parties and life celebrations to fundraisers, networking events, luncheons and business meetings. 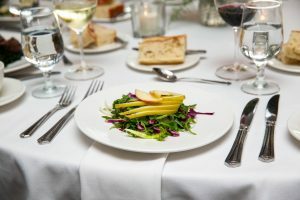 In 2018 we also took home the award for Best Rehearsal Dinner in Seattle Bride! 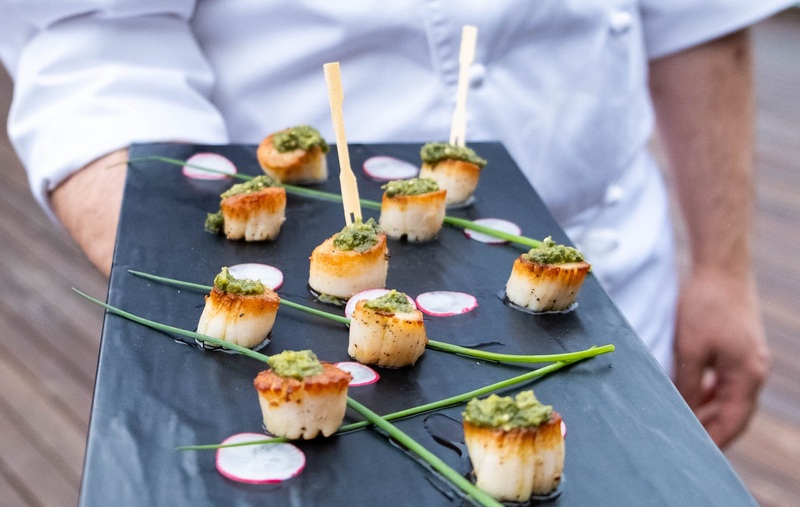 The Ray’s Catering team works hard behind the scenes to make these events come to life, from planning all of the details to cooking delicious menus! 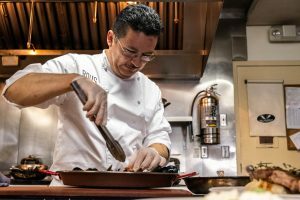 In particular our Catering Sous Chef Gustavo Guerra is a vital part of the team. 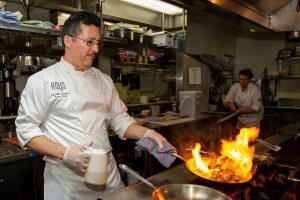 He creates Ray’s seasonal catering menus and prepares the dishes with help from his talented team. His knowledge of cooking and food and his eye for what pleases a crowd makes him excellent at his job! 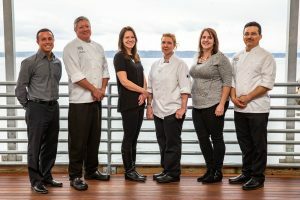 If you are planning an event contact our Director of Catering Amanda Viereck and host it with Ray’s either here in Ballard or at a venue of your choice! 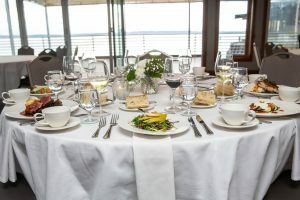 We offer private events at our Northwest Room located next to Ray’s Boathouse, with a private deck overlooking Puget Sound and the Olympic Mountains, indoor/outdoor spaces, custom menus and much more! 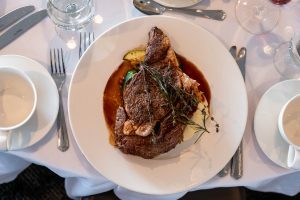 Contact us to select your date then plan your menu, beverages and more while our team coordinates the details. 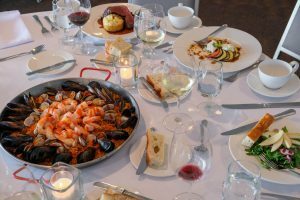 Call 206.789.6309 or email rayscatering@rays.com today! 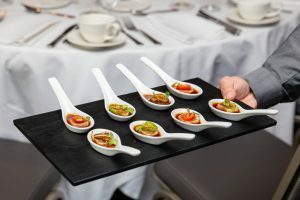 Learn more about our Catering team here.